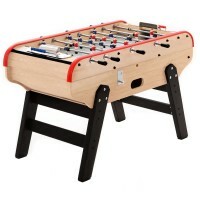 Bistrot football table: buy our Bistrot football table! 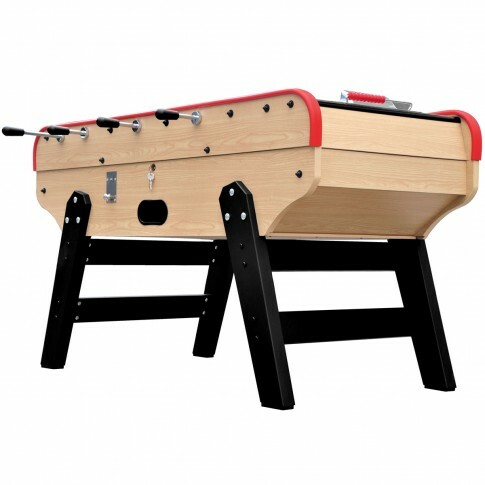 The Bistrot football table has an authentic and timeless design that makes it look like the football table you have always wanted. 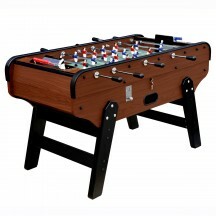 Shipped within 3 weeks	Each football table is made on demand. 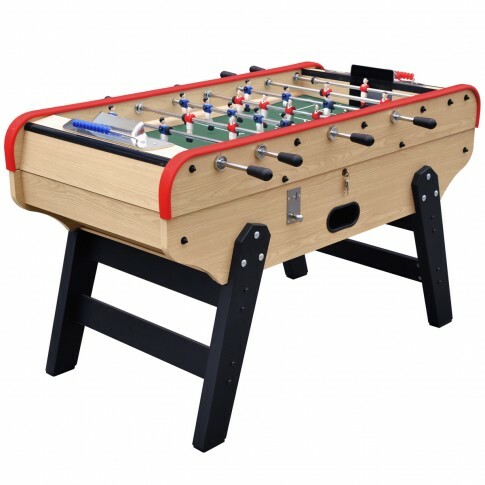 Therefore, there is a production time required to make your football table. According to the model and the materials required, the production time may change. Regularly dust the cabinet. 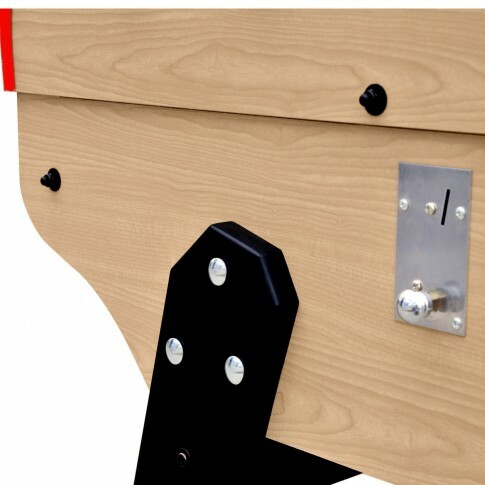 At least once a month, check that the screws are tightened properly and that the rods are well lubricated. The rods and the legs must be mounted. 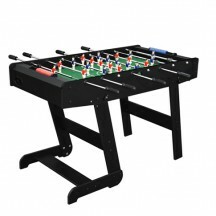 The Bistrot football table is as traditional as it gets! 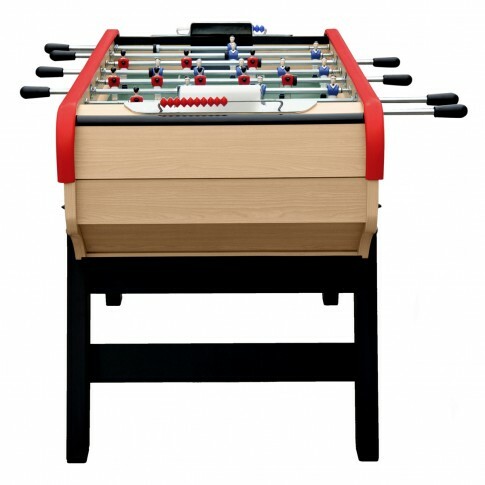 Featuring a beech plywood cabinet, this football table will resist distortion and hits. 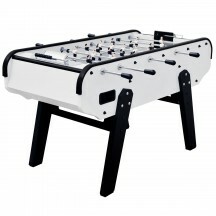 The aluminium players are durable and will easily stand intensive usage. 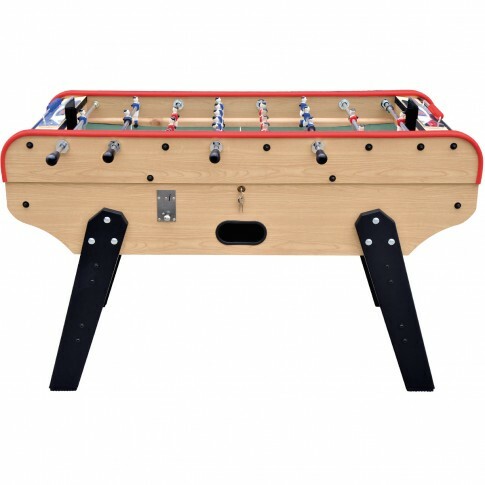 The Bistrot football table comes with steel telescopic rods and a Gerflex™ pitch (with traced field lines). 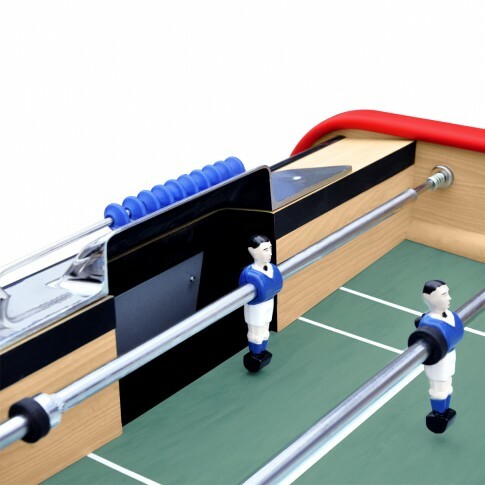 The table also features a coin mechanism for 50p coins, which makes it ideal for clubs, organisations or firms! 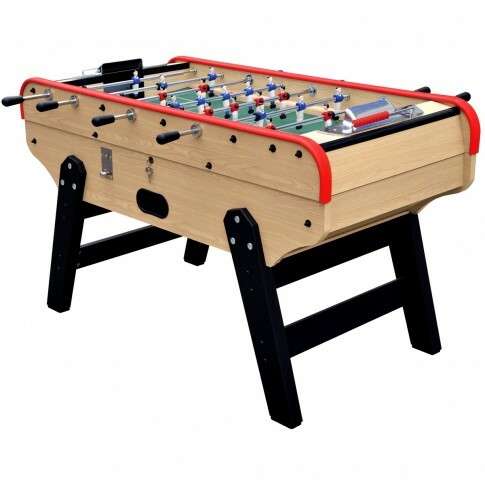 The Bistrot football table is an authentic football table with updated and sturdy components! 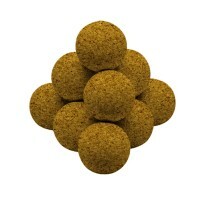 Supplied with 11 cork balls. The courier will contact you before delivery to arrange a convenient delivery date. Deliveries take place from Monday to Friday.